I'm still convinced up front is his best position. I was hoping he'd get a chance there today, but Lukaku got the nod instead. It's true every time he gets the ball I expect something magical to happen. How many goals he would have by the end of the season me thinks? So impressed with him under Ole. He is so cool in front of goal. Him, Rashford and Pogba could have hit insane numbers if Ole had started the season here. You’d have to think we’d also be fighting Pool and City for top spot. 47 goals, 33 assists since joining. Basically involved in a goal every other game. Not bad at all for a player not long 23 and considered by many as lazy and overhyped. He’s still as of this moment the most productive player we have since his debut. It’s just pure madness that about a third if not more of this forum want him sold for fecking Perisic/Willian. His movement has vastly improved in a short space of time. Was the only one making runs behind the defence today. Mourinho robbed this lad of a WC gold medal. That is a guarantee. He might have even taken Giroud's position. Jose and his stupid defensive wingers. He’s just unrreal. I agree that his best position is upfront, I like when it’s been him and Rashford with Jesse floating at #10. I can't wait until the day Rashford & Martial become players that literally just score tap ins for us in partnership. The best finisher in the club. And the 2nd most creative. Today's goal shows the difference between when he finds himself positioned in between the opposition RB / RCB - in comparison to when he finds himself on the outside of the RB trying to beat his man. He struggles as he did the whole match to beat the RB when the defender is positioned to push martial outwards towards the bye line - but when Martial has cut inside to play inebtween the RB & RCB he is untouchable as the defenders have to push him defensively closer to the goal than away from it. At that point martial becomes clinical. Agreed. That's why he's not quite a winger. That inside 'Henry' channel is where he's absurdly devastating. Even in one of his poorer games this season he was subdued all game out side but when he came inside he did this lovely fake to beat the defender and came close to scoring. Do you think that in the general term of a formation that he can start in such a position instead of trying to work himself there through out the match? If he sits in that space either waiting to receive the ball or dropping deep to get it - he has so much more of an ability to be consistent. Just whilst we are at it - if ole does manage to get/start Martial in that left 'Henry' channel - he arguably has a player in Greenwood that can play on the right 'RVP' channel & utilise his left foot. Let Rashford do his own thing right down the centre. He is basically playing that position. There's a notable change in formation from Ole regarding the wingers not tracking back as much, giving the full backs a bigger defensive role covering their man and allowing the opposition to exploit crossing more if they can but in return we get players like Martial in a more optimal position for counter-attacks and it has worked. Yes it's definitely there much more than ever before. I think it's still held back a tad bit on purpose only because we have to play a makeshift RW most of the time be it Lingard, Rashford or Mata. I think once the right player comes in to RW or more comprehensively - the right inner channel; that will allow martial to play in the inner left channel more as well simply due to team positioning. Did anyone see the interview beforehand where he says normally in practice he misses all the time and they have a laugh about how his finishing isn’t great in training but come game day it’s a different story. Thank God I wasn't the only one who spotted this, in the second half he was 2 better passes from lukaku and Pogba away from adding to his tally. Ole should definitely take credit for this and I hope it becomes a permanent fixture of his game going forward. Trezeguet, Thuram, Petit, Mbappe too. Just an outstanding player and talent. There Is no other player in our squad that could have done what he done today, even Pogba wouldn't have had the pace. The fact that he's only going to get better is disgusting. All we need is a Sancho level talent for the RW and that's our attack sorted for the best part of the next decade. I've never understood the need to revert him back to the striker role especially with Rashford doing excellently there. He might be better suited for the ST role but I feel the difference it will make to his game will be marginal and isn't worth it when we can play two of the brightest talents in the game under our current setup, tweak it a bit to get him closer to goal but for the most part best left as is. 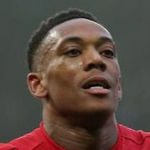 Did anyone hear Ian Wright's assessment of Martial yesterday on MOTD? Worth a listen... he states that Martial has plenty power, pace.. but can still improve, final ball, needs to vary his game etc. He is right, I fully agree. My feeling re Martial I have made many times. Tremendous potential, and what a run and finish yesterday. But.. he needs to add to his game. Is he a big game player? Does he win, dictate those big games for us? Does he lead? What about those games when we have more possession, at home, when teams have plenty behind the ball? (er, like Burnley recently...) free flowing football on the counter attack isn't going to help so much there.. you need more patience, guile, craft.. more quality in fact. I think I need to see that side to his game develop. The game yesterday was perfect for him. A counter-attacking strategy, and we were playing against a side who were pretty dreadful. Not raining on anyone's parade... Martial when he arrived was fantastic.. his all-round game then was in my view, better than it is now. As I mentioned in previous posts, let's see how he develops under Ole, because we will see his game evolve. It needs to. He is good, but there is more he needs to add to his game in my opinion. Each passing week offers a new reason why no self respecting club should ever touch Mourinho again. Of course his game will evolve, he just turned 23. He's won us many points and played well in games we were dominating. Newcastle, YB of the top of my head this season. He did not play against Burnley and we missed him. So I don't know where this idea he doesn't play well in games we don't dominate comes from. He’s showing that form when he first came to us always looking dangerous. Let’s hope he can keep it up. Disgustingly good player. Even as a United fan it’s a rather frightening thought to imagine where he’ll be at in his peak. Him, Rashford and Pogba are all yet to peak. Another Champions League trophy not be that far way. Think we may need a couple more players to get to a champions league final again, but I take your point, with those three on form, the offensive side of the team is pretty much sorted, and hopefully Greenwood will add to that over the next year or two. With the right purchases, and with at least a couple of the outstanding under 18's coming through, I can see us giving it a real go in 20/21 season. Tbf, there's nothing wrong with saying he needs to add more to his game. The argument will never end. I'm of the opinion that under the right set up, he's at his best as a LF with liscence to drift drioss both channels. Where he isn't burdened with providing width. We played a variation of 343/352 yesterday and it worked well. Maybe so, but you can say that about any young player. Overall he's a terrible pundit. No, I think he made some valid points re Martial.